Recently, Robin and I had a conversation about how there seems to be a lot of confusion surrounding the differences between YA novels and MG novels. Most people know the basics, such as MG books are shorter than YA books, and MG protagonists are younger, under 14 as opposed to YA protagonists who are 15-18 years old, but word count and age are not the only differences. In fact, I’d argue that they’re not even the most important. So what is? You can’t just turn a middle-grade story into a young adult story by aging up the protagonist and making the book longer. The types of stories these two audiences want are very different, and that’s not a secret or a mystery! I did a quick Google search on this topic and found lots of great articles that break down the differences between YA and MG. Instead of regurgitating the information, I’m going to share links to these articles with a little summary of what they explain. After, I’ll tell you the ONE thing I believe is the most important difference between writing YA and MG. This article has useful “At A Glance” sections that outline the differences between the two categories. However, I’d like to point out one thing in the YA list that I think is not correct: “Age of protagonist: Ages 14–15 for a younger YA with cleaner content aimed at the middle-school crowd.” See, I’d argue that if it’s aimed at the middle-school crowd, it’s an MG novel, not a YA novel. Yes, some middle-schoolers may read YA, which this article acknowledges, but if the book is too young for the high school crowd, it’s MG. Readers read up, not down. If high school teens won’t read the book, don’t classify it as YA! In this article, Mary Kole talks about that “gray area” between MG and YA that stumps so many writers, and concludes that this area doesn’t actually exist. So if your novel is straddling MG and YA, you need to get off the fence and pick a side. I wholeheartedly agree with this! All five of G. Myrthil’s points are great, but I believe #2 and #5 are especially important. #2 talks about how MG novels can address mature content just like YA, but the difference is that an MG protagonist experiences it second-hand, not first-hand. #5 talks about how MG protagonists don’t overthink things the way YA protagonists tend to. I believe this applies to YA as well. 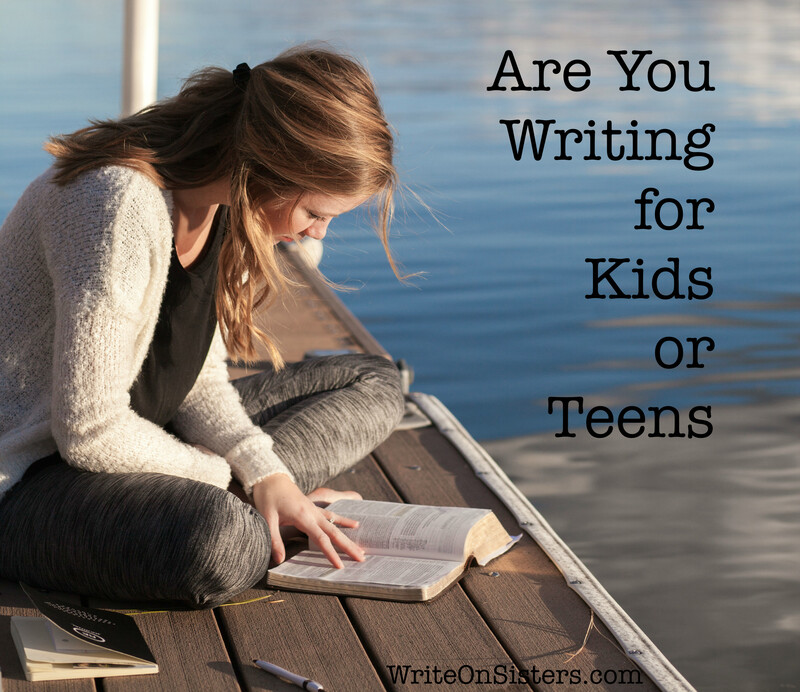 If you’re writing for a younger audience, you can’t do so from the point of view of an adult. I’ve read books that sound like a parent writing for this age group, and they’re terribly irksome! Especially in the YA category. People who view teenagers as kids have a tendency to write down to them. Never write down. You must believe teenagers are young adults to write their voices, because that’s how teenagers see themselves. I remember that clearly. Teenage me did not think I was a kid; I was an adult who unfortunately still had to live under my parents’ unfair rule. I hated that my parents still treated me like a child, and if a novel portrayed me and my friends like that, I would not read it. Overall, I think the most important difference between MG and YA is the mindset of the protagonist. In MG, young heroes and heroines are trying to find their place in their world, are concerned about fitting in with friends and family, and will learn how to do so and come out victorious. In YA, the heroes and heroines are tackling life from a more individualistic place. They’re asking themselves who they are and who they want to be, they’re questioning their place in the world, and they’re asserting their individuality. Put simply, MG protagonists want to find their community, YA protagonists want to find themselves. The latter might involve finding the right community for their individualistic selves (like Divergent), but the story focus is still on the character’s inner journey. So ask yourself — what’s the mindset of my protagonist? This is the key to figuring out if you’re writing MG or YA. At least that’s what I’ve concluded. Feel free to agree or disagree in the comments! Too many writers think they’re J.K. Rowling and that everyone will love their book. My other favorite is a really wonderful person who wrote what is clearly a MG book but can’t agree because his sixteen-year-old niece liked the book, and so he thinks it has broad spectrum appeal. Gotta ask the right critic.